The weather has just been lovely here the past few days. It is all I can do to tear myself away from the garden in the morning and go to work. Today I’m going to share with you the new garden area in the back / side yard. Despite this being one of our main views from the house, I’ve put off doing anything there for the dozen years we’ve owned the house because it was such a weedy mess that I just didn’t feel like taking on a project of that magnitude. Now I wonder why I didn’t just deal with it sooner. Like most new gardens, it’s looking a bit sparse, but I’ve learned to pay more attention to plant spacing over the years and I have hopes it will fill in nicely in the coming years. Here’s another overhead view that shows how it all connects with the “Main” garden off the patio (which would be the bottom right corner of the photo below). You’ll have to ignore the multiple colors of mulch I have going in that bed. 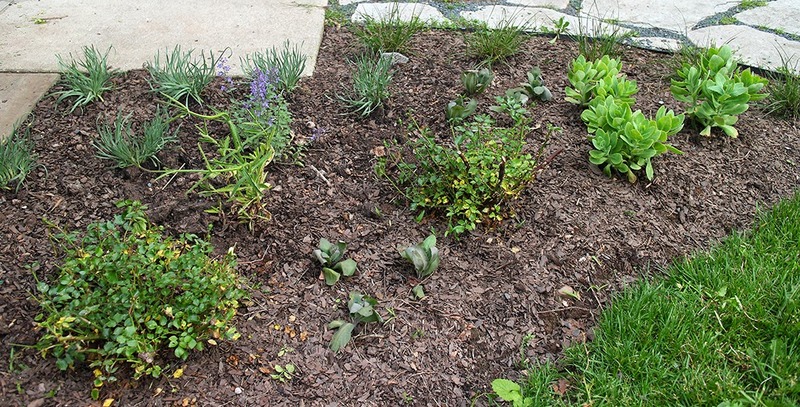 I used “good” mulch around the plants, and then laid down cardboard and the cheapest mulch I could find (cypress) in the areas that aren’t currently planted. 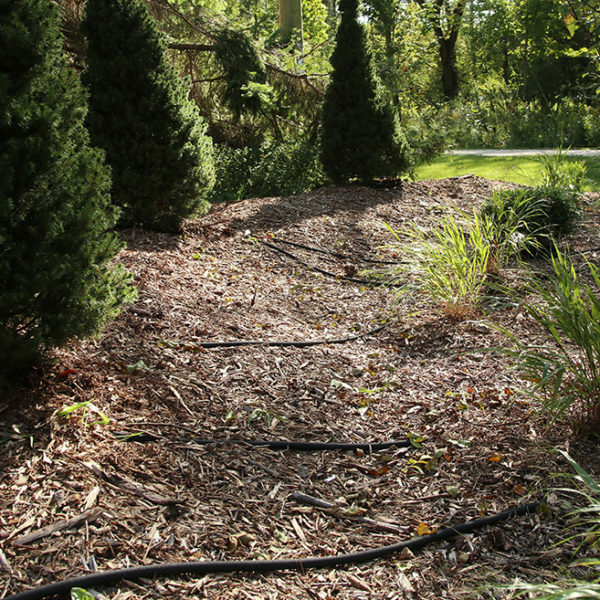 The mulch is fresh in these photos and it should darken as summer goes on. Here’s a quick view of what part of that area looked like before the path and terraced beds were added. Three Viburnum lantana ‘Mohican’ shrubs were added a couple years ago and are growing well despite a lot of “pruning” by the deer this winter. 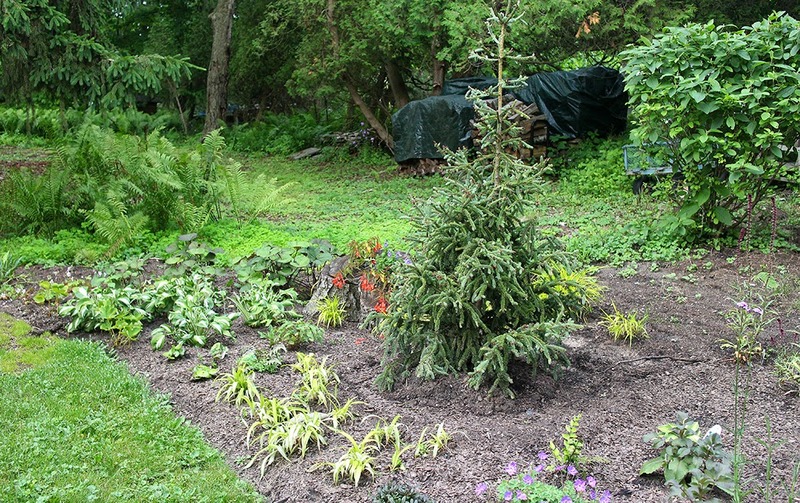 I would like to add one or two more to the left of the existing ones but I just didn’t have the energy to manage planting two more big shrubs this year. 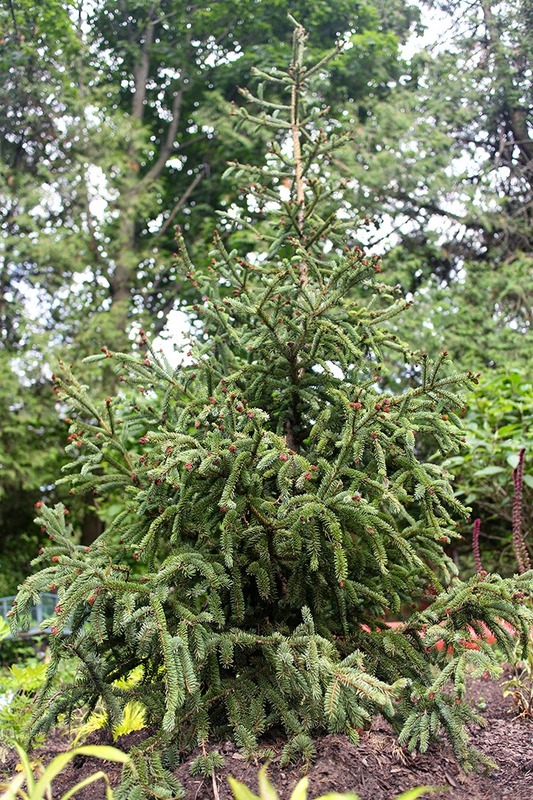 The focal point of the new garden area is Picea glauca ‘Hudsonii’ (Hudson white spruce). 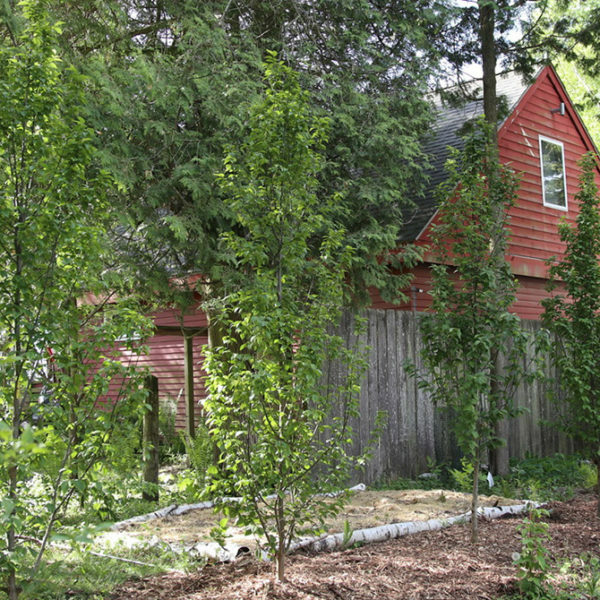 When I thought about planting this area, I always imagined a deciduous tree (maybe a tricolor beech) there, but in winter, it is rather open to our neighbors’ back yard. I ran across Hudsonii quite by accident in late winter. 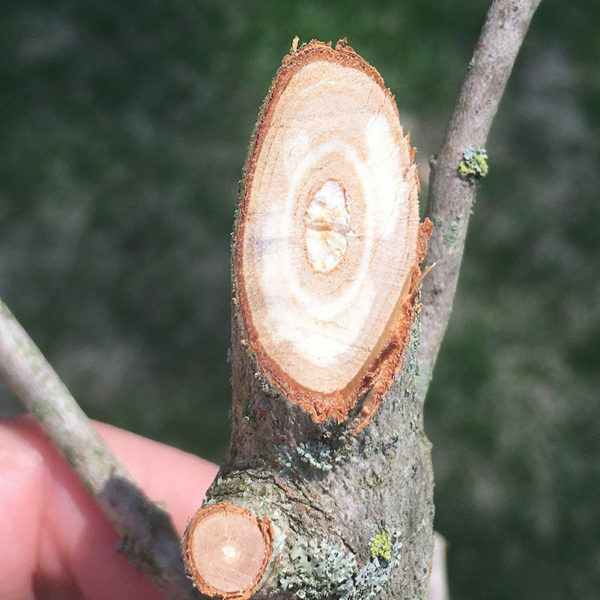 I was researching evergreens for screening in other areas when I came across it. It caught my eye because by this time it was clear that our dog Hudson (who passed away in April) wasn’t going to be around much longer and the thought of a memorial tree was sort of nice. We had hoped that Hudson would be around when we planted it, but sadly that wasn’t meant to be. It’s a lovely little tree that shouldn’t get much over 8 feet tall and 4 feet wide, which is about the right size for this space. It is a heavy cone producer and is said to be covered in bright red cones in spring. 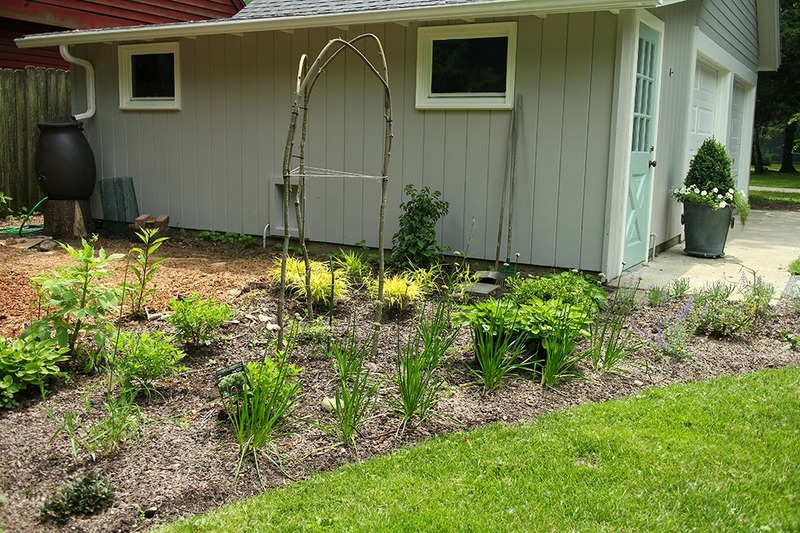 In front if it, I planted some strappy Carex, divisions from my mom’s garden. I think it may be ‘Moonraker’ because in my mom’s garden, where it is properly planted in a bit more shade, it is white with green edges. Since it’s in a touch more sun in my garden, it is more lime/yellow, which I don’t mind at all. This should fill in the area in front of the tree nicely. To the left of the tree is the stump that I’ve turned into a container. 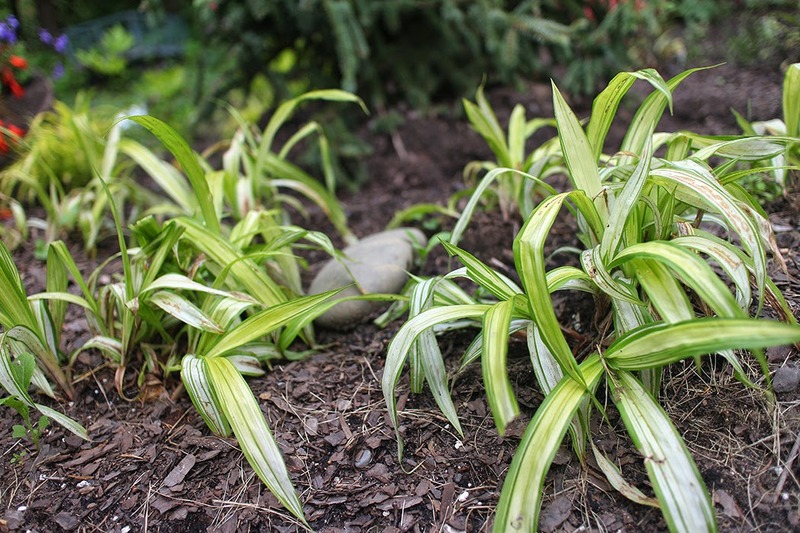 Surrounding that are several Hakonechloa ‘All Gold’ plants, mostly divisions from several large clumps growing on the west side of the house. I seem to be lacking in photos beyond that, although you can see it above in the first photo of the tree, but the area gets shadier as it extends under the huge Norway spruce, so I planted several divisions of ‘Tilt-a-whirl’ hostas, Ligularia ‘Desdemona’ (which happens to be our cat’s name, but that has nothing to do with why I grow that plant), Geranium Biokovo and then some ostrich ferns and sweet woodruff where I hope to phase it into a more natural area (in front of the wood pile). To the right and behind the tree are a variety of plants. Most of them are planted in groups of three, which is a little sparse, but I hope to be able to divide them in future years to fill in a bit more. 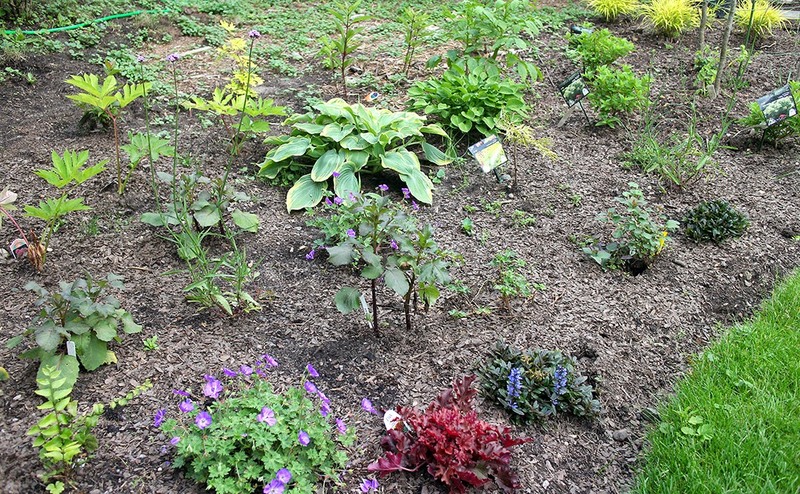 In this photo you can see, among other things, ‘Earth Angel’ hosta, ‘Teaspoon’ hosta, Angelia gigas, Geranium ‘Rozanne’, Ajuga ‘Chocolate Chip’ and Heuchera ‘Cinnamon Curls’ (a trial plant for this year). 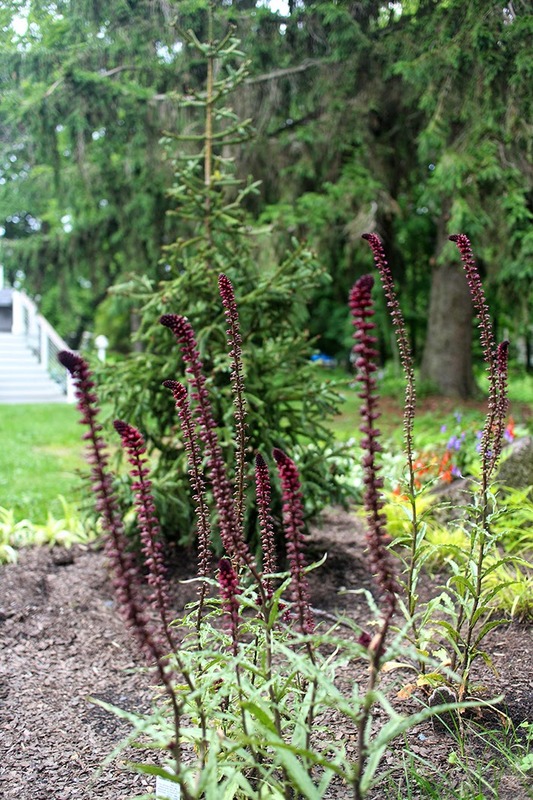 I planted Lysimachia atropurpurea ‘Beaujolais’ (a purple loosetrife cultivar) in the back. I hope it will spread a bit, but not too much. Given purple loosestrife’s aggressive nature, I’ll keep a close eye on it. It’s just such a beautiful plant. 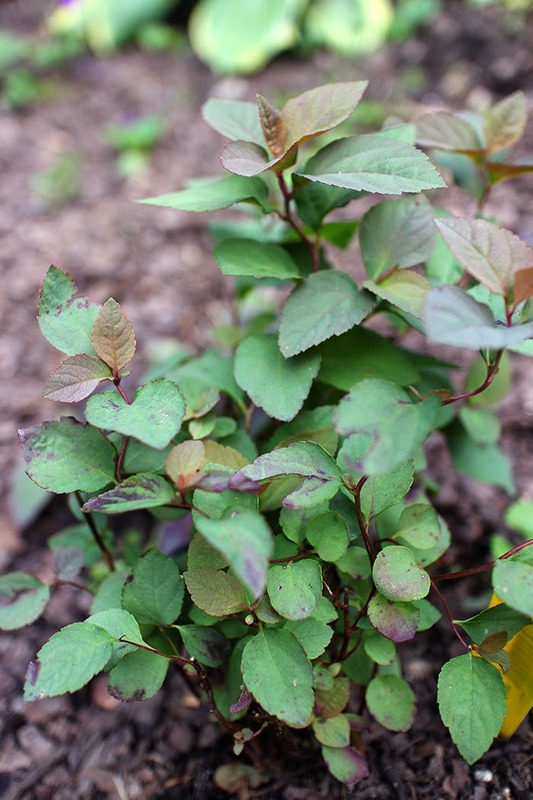 I also planted Spirea ‘Blue Kazoo’, another trial plant from Proven Winners, near the front of the garden. It has the most lovely blue color to it and I’m really excited to see how it performs. 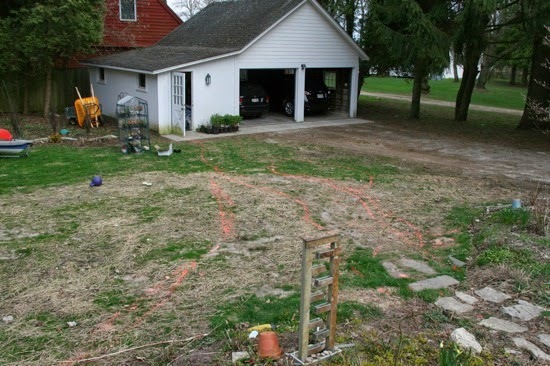 The area by the garage was the most difficult to plant. A lot of snow tends to get piled there in winter, so it’s an inhospitable place for a plant to grow. Right along the edge are several Allium senescens var. glaucum (pink curly onion) which have interesting blue-gray foliage that grows in a twist. I also put Sedum ‘Neon’ there (three new plants and several other starts from pinching out other plants in the garden) and a few Nepeta ‘Walker’s Low’, which I love for its flower color despite the fact that it has a tendency to get a bit bigger and floppier than I would like. I transplanted two Oso Easy ‘Honey Bun’ roses from the deck garden (I replaced them with more colorful roses). Unfortunately I moved them much later than I would have liked so I cut them back pretty hard to get them through the transition. These bloomed nonstop for me last year and I hope they do the same next year after they are over the trauma of the move. 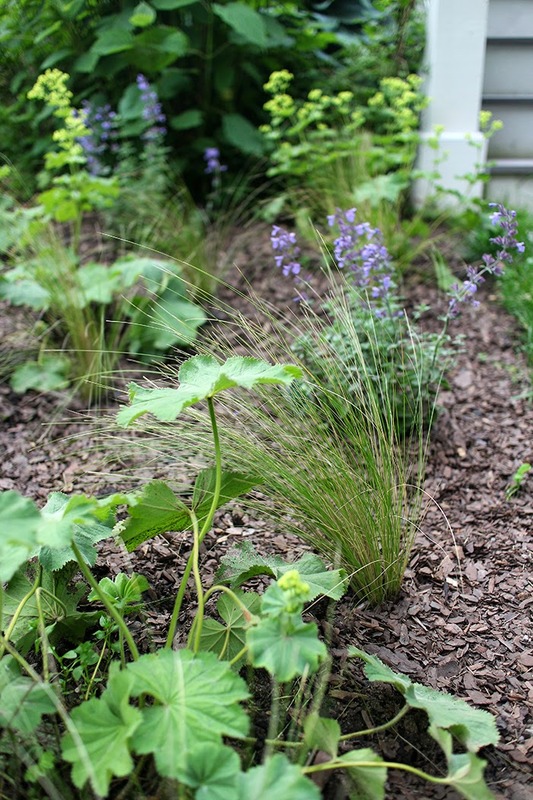 Along the path I planted five Pennisetum alopecuroides ‘Bunny Tails’, a dwarf ornamental grass. I amended this area of the garden more heavily than any other prior to planting. Much of the soil there is clay (undoubtedly fill brought in at some point in the property’s history) and I mixed in lots of compost and pine bark fines to aid drainage and lighten the soil. I will pay special attention to this part of the garden in fall to make sure these plants go into winter as strong as they can possibly be to maximize their chances of making it through to spring. In the shade of the north side of the garage (although not right next to the garage) I planted several more Hakonechloa ‘All Gold’ divisions and a climbing hydrangea that I hope will grow up the side of the garage to soften it a little. I’m not sure how well it will bloom in that much shade but I think the vine itself is pretty enough to justify a spot there. Normally I would never think about planting a climbing hydrangea on a structure (they have been known to rip siding off of houses), but I don’t think it could do much more damage to our sort of ramshackle garage. I will make sure, though, to prune it to keep it from climbing up on the roof. I made a rustic trellis from three branches that I cut in spring and bended over. Clematis ‘Sweet Summer Love’ and ‘Lemon Chiffon’ will hopefully be happy to climb up it in years to come. In front of the clematis, at the front of the border are nine Allium ‘Summer Beauty’ plants. I found three gallon-size plants on sale at the hardware store and divided them before planting them. I love this plant as much for its strappy bright green foliage as its cheery pink flowers. There are also dahlias, Joe Pye weed, Little Lime hydrangeas, boxwood and some Verbena bonareinsis dotted about. I didn’t change much to the oval that crosses the path other than to slightly change the beds to make them line up nicely. The bed on the south (right) side of the path is a bit of a happy mishmosh these days. 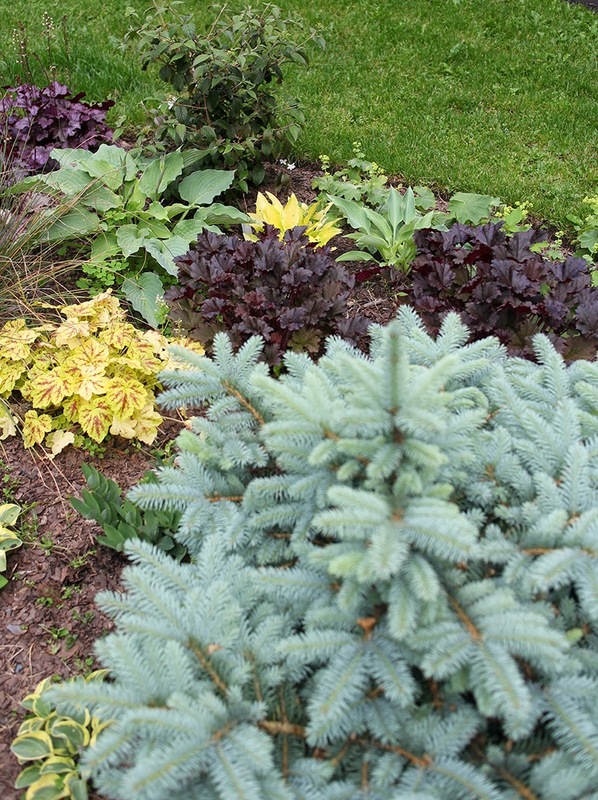 Most of the plants in it (mostly hostas, blue globe spruce and heucheras) fall in the blue, purple or yellow foliage category and while it’s not a cohesive look, I quick like what it has become. I also changed the bed shape on the deck side of the yard to continue the oval shape of the lawn. 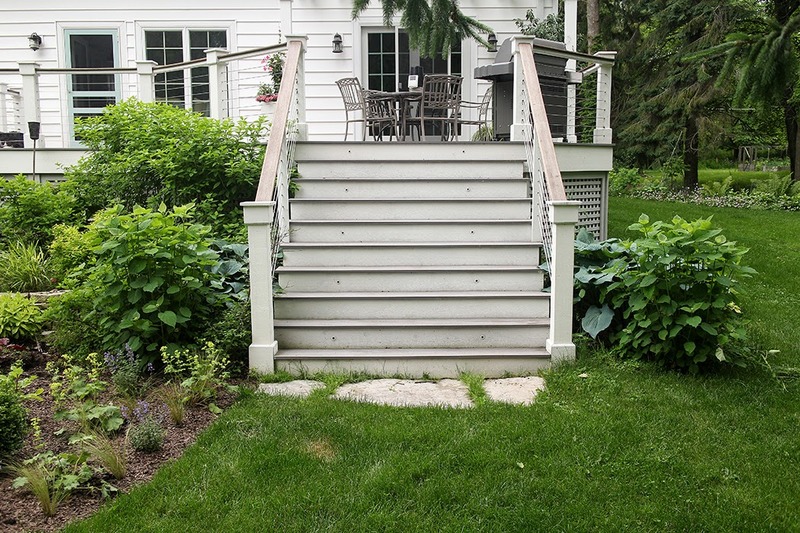 This created a new planting area near the steps up to the deck. 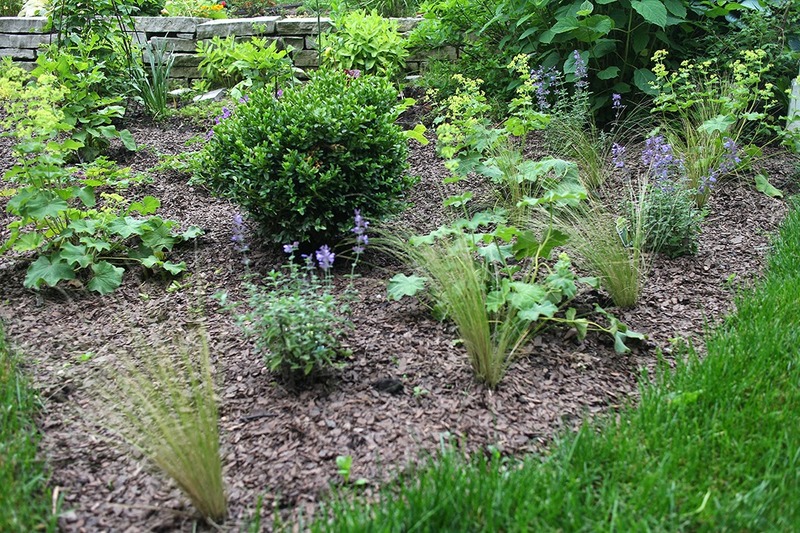 Inspired by a garden at this year’s Chelsea Flower Show (that I showed you here) I planted this area with Alchemilla mollis (Lady’s Mantle) from divisions, more Nepeta ‘Walker’s Low’, another boxwood and Nassella tenuissima (Mexican Feather Grass) for that airy look that I so loved in the Chelsea garden. This grass is apparently quite invasive in warmer areas, but it won’t be hardy here. I’m just hoping that it grows enough in one year to put some size on. I may dig it and try to overwinter it, but I’m prepared to treat it as an annual and replace it every year. I also put in some yellow ball dahlias and some purple and blue geraniums. For the first time, I have (so far, please keep your fingers crossed) kept the deer from nibbling on the Incrediball hydrangeas that flank the stairs. If I can keep that up, I’m hope for a spectacular flower display there this summer. I planted those hydrangeas right after we built the deck (2011, I think) as quart-size plants and they are now approaching 4 feet tall and fulfilling what I had envisioned for that area. Although it’s immature, so far I’m very pleased with the redesigned portion of the yard. It makes it that much harder to go to work on these beautiful summer days. Wow, it looks really great. 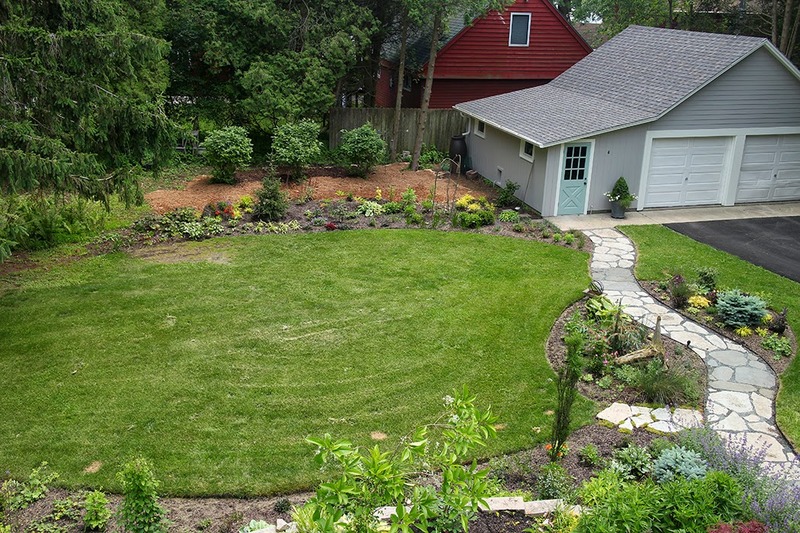 Defining the lawn space made such a difference! So helpful to have that aerial view. You've done a ton of work and it should fill in significantly by next summer. Love that lysimachia Beaujolais. You will have to report back on its behavior. Just went back and looked at all the pix again. Aren't you glad you took the before shot? 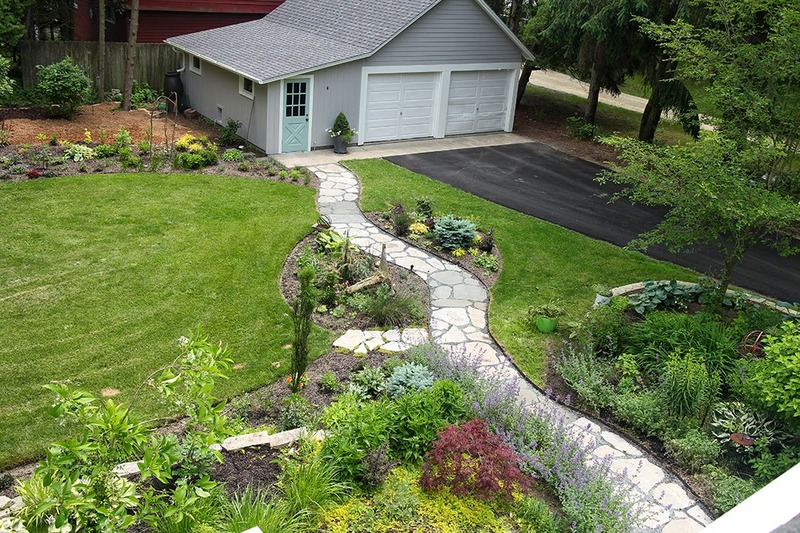 The transformation is stunning and the new driveway and paint job are icing on the garden! Wow, thats looking brilliant. You've done so much work and made it such a lovely space. Definitely a garden to be proud of, and a great canvas to continue to develop over the years. Awesome! 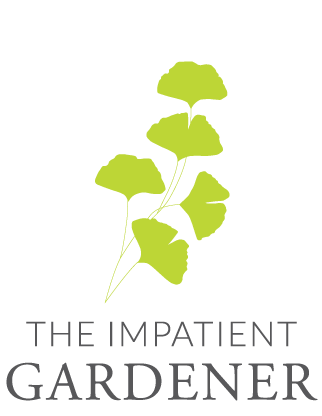 You are one busy gardener! 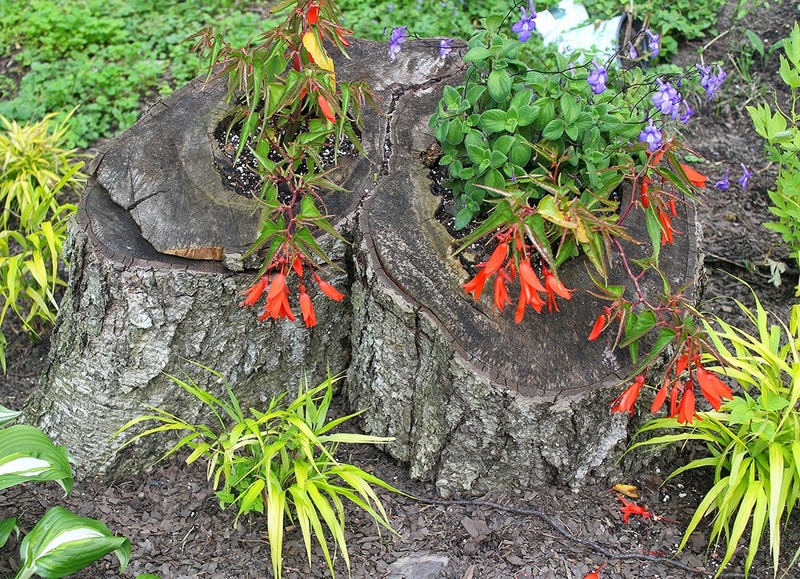 I love the stump planted up – I have one languishing in my side yard (along with everything else there) and should do that. For now, I have a birdbath dish sitting on it. It reflects some light which works in that shady spot. Great job! 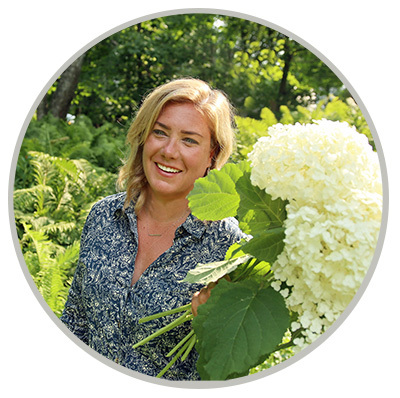 Are you done with building new gardens now? Or are you like me and are never truly "done"? Wonderful blog! Gardening is an American past-time that the whole family can appreciate together. You are never excessively adolescent or excessively old to begin your first enclosure. Obviously, as time passes by, you can revel in more perplexing situations, plants, and blooms. This is an amazingly compensating and engrossing distraction for the individuals who are eager to devote the time and vitality to legitimately administer to their plants. Underneath you will discover a couple of diverse thoughts to recall while doing your backyard gardening. All the best!